Live the Legend, Save the Galaxy! Check out the Illegal Aliens Kickstarter! 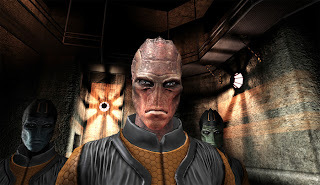 For the past few years, I have been contributing to the story of Illegal Aliens, an UDK-powered title being developed by SomeArea Studios. With the success and popularity of Kickstarter at an all-time high, the team at SomeArea have taken to the crowdfunding site in the hopes that the game will be available for everyone to play, sooner rather than later. Please check out the game's Kickstarter page and back the project if you can. Every little bit will help, but the higher the amount will garner greater rewards such as the game's soundtrack, multiple copies of the finished products, and the ability to have your likeness in the game. If you are unable to back the project, passing the link onto friends will greatly help with the page getting more attention. Illegal Aliens will be on Kickstarter for two months, so you'll have time to reach out to people that may be interested in the title. Below is a video of the game to check out, as well as a link to the Kickstarter page. 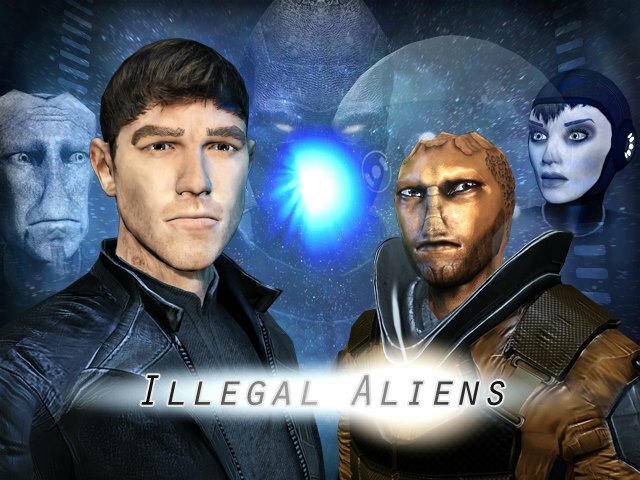 "Illegal Aliens is an Action-RPG/Co-op Adventure game. It's main focus is to allow players to enjoy an entire campaign built around co-operative gameplay, which allows both players to feel as if they are playing a single player game built for two. Illegal Aliens is more than just another game, it has a story to be told, filled with amazing moments that span from serious to comedic."